ORLANDO – Academic scholarships open up golden opportunities. They boost confidence and give students a chance to accomplish their goals. Children attending schools in Seminole County are in a greater position to earn such scholarships. And it’s because of the “Take Stock in Children” program, which aids deserving students from low-income families. Earlier this year, the Foundation for Seminole County Public Schools was awarded $10,000 from the Orlando Magic Youth Fund, a McCormick Foundation Fund (OMYF-MFF), to support this program. Now more students will have the resources to achieve academic and career success. The mission of the Take Stock in Children program is to break the cycle of poverty and instill a better life for underprivileged students. Comprehensive services begin in middle school and they continue throughout high school and college. There are 24,000 children benefitting from the program throughout 67 Florida counties and $149 million is dedicated to scholarship opportunities. The Foundation for SCPS was one of 21 organizations in Central Florida that received financial assistance from the OMYF. A total of $1 million was distributed. In the past five years, OMYF-MFF has granted nearly $5 million to various organizations throughout Central Florida. In the past 25 years, OMYF-MFF has given $19.8 million to 500 nonprofit organizations – funding that has impacted more than 2 million children and people in need. That philosophy of giving falls in line with the vision of legendary owner Rich DeVos, who has stated through the years that it was always his hope to use the Magic as a vehicle to assist others and make a difference in the community. 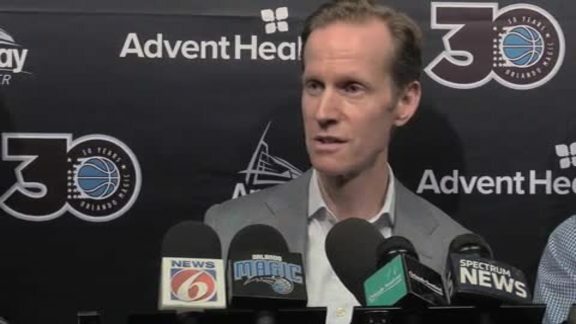 The $1 million in funds given to the Central Florida difference-making organizations is raised by Orlando Magic Youth Foundation, and the match provided by the Robert R. McCormick Foundation. After an extensive five-phase process, which began in April of 2014, the beneficiaries were recommended by the OMYF Board and then approved by the McCormick Foundation’s Board of Directors.